Document Human Rights Film Festival runs from 30 November – 2 December 2018 at the Scottish Youth Theatre in Glasgow’s Merchant City area. Document Festival is Scotland’s international human rights documentary film festival, established in 2003. 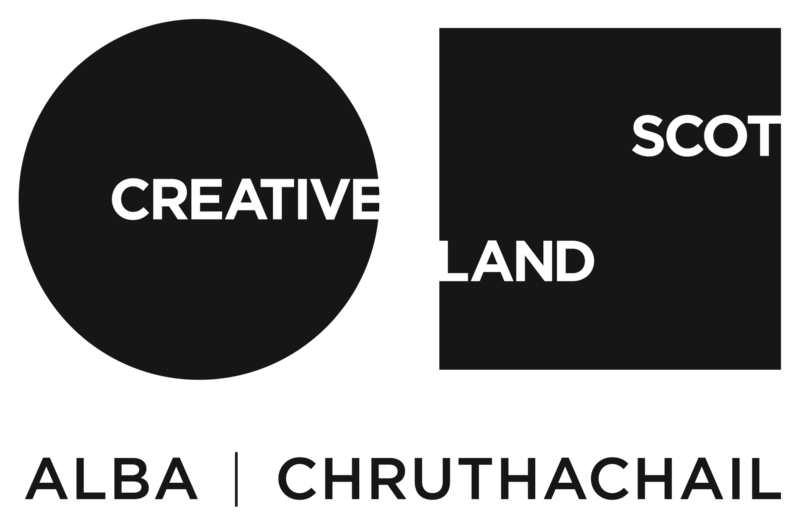 It provides a unique platform that attracts Scottish, British and international documentary filmmakers and promotes local and international discussion, cultural exchange and education. By screening the best of recent and historical human rights documentaries, Document is a crucial space for the visibility and consideration of documentary film as an art form and social practice. Recognised at home and abroad, we work with many local, national and international organisations and are members of the Human Rights Film Network. Document’s annual output has been carving a niche in the Glasgow film scene, becoming a platform for critically acclaimed films from the international festival circuit, as well as for unheard voices, independent filmmakers from around the world. Document has hosted sold-out screenings of the director’s cut of the Oscar-winner film The Act of Killing (Joshua Oppenheimer, 2013), and the BAFTA-awarded I Am Breathing (Emma Davie, Morag McKinnon, 2013). The festival is also a key platform for local talent in documentary filmmaking, with events such as the successful debut of artist-director Carla Novi, whose documentaries and performances Rana Plaza (2014) and Desaparecidos (2015) had full-house audiences and extensive coverage at two consecutive editions of the festival. Other work featured includes short films and panel discussions with Glasgow-based filmmaker Chris Leslie, and regular programming of recent work, retrospectives and workshops with local collectives including Camcorder Guerrillas, Plantation Productions, and Digital Desperados. Document has become a home grown event of international prestige, with film exchanges between festivals within the Human Rights Film Network and UK festivals, challenging universal human rights claims through film and making them accessible to local audiences. Recognising the importance of multiple art forms to foster empathy, community, and reflection on human rights topics, Document has regularly curated a rich variety of visual arts and live performances (including music and dance), inviting local artists, musicians and collectives to take part in the festival. Artists have included Jan Nimmo, Omar Bhatia, Picture Window, Ankur Arts, Machines in Heaven, Teen Canteen, Maryhill Integration Network, etc. These activities have brought new audiences and perspectives to the festival. In recent years, Document has chosen to concentrate its activities on a shorter period of time (3-4 days), in order to maximise engagement and interaction. This has been a successful strategy, resulting in a more selective yet consistently diverse programme and a higher average number of participants per screening (approx. 40 for last year). In its new, more condensed format, Document has been reaching an average of 1200 people at its CCA events. This number does not include other screenings such as the 2014 Document tour, the Moving Parts and Revolutions event as part of Radical Film Network, and another important feature of our festival, namely the community videotheques. Situated outside the city-centre at the Govanhill Baths, Glasgow Women’s Library, and Elder Park library, the videotheques offer free access to a selection of our programme. From the beginning, Document screenings have been free of charge for asylum seekers, OAPs, and those without an income. In these ways Document aims to remove barriers to access and promote participation across social groups. Document engages with audiences of all ages with opportunities for education and critical thinking regarding national and international human rights issues. This is promoted through a range of accessible workshops, masterclasses and panel discussions that enhance audience engagement with the film programme and foster active discussion of the issues raised by the films. Student forums have been an important feature in Document’s programme, engaging discussions with students across disciplines, as well as wider audiences. Some of the speakers who contributed to lively discussions are Nick Higgins, documentary filmmaker and lecturer based in Scotland, Serbian documentary filmmaker Boris Mitić, academic Ger Zielinski and Steve Presence who is also the co-founder of the Radical Film Network and Bristol Radical Film Festival. Document functions as a hub for local community organisations involved in advocacy and awareness-raising on human rights issues. This is achieved through long-standing and developing links with partner organisations, which every year help us reach out to new audiences and make each film more visible and meaningful for particular interest groups. In 2013 Document took part in the WAVE project, collaborating with four sister human rights film festivals in Macedonia, Bosnia, Germany and The Netherlands in the creation of a EU-sponsored teaching programme aimed at young people in both formal and non-formal education which will utilise documentary film in the teaching of human rights values as a form of civic education. Ongoing partnerships with Nuremberg, San Sebastian and One World Human Rights Film Festivals have been strengthened by co-participation in festival juries. Organisations such as the Scottish Refugee Council, Amnesty International, and Freedom from Torture are actively involved in contextualising and activating Document’s programme. Finally, academic collaborations have made Document a key reference point for students and researchers working on Human Rights and film, through the festival’s engagement with GRAMNet, the Glasgow Human Rights Network, and Screen Seminars at University of Glasgow. A very positive part of this process is the ongoing Applied Research Collaborative Studentship award which brings together Document, Glasgow and St Andrews universities through a doctoral research project, Human Rights Film Festivals: Politics, Programmes and Practices. This studentship allows PhD candidate, Alexandra Colta, to undertake a placement with Document and produce scholarly work that will also contribute to the organisation’s self-examination and reflective learning. Document is an ever-evolving festival which has had many positive achievements throughout its history. Since the 2017 edition of the Festival, Document has continued to develop through ongoing collaborations and projects. 2015 saw the launch of the Worldscreen series, realised with the help of of Camcorder Guerrillas, showcasing a range of creative documentaries that explore the Palestinian and Israeli conflict in a series of screenings. In November 2015 Document presented LGBTI Human Rights Activism and Film with the University of Glasgow’s Sociology Department in partnership with Envisioning Global LGBT Human Rights, a unique transnational academic research and film-making project based in Canada. Other partners included Centre for Research on Families and Relationships based at University of Edinburgh, and Human Rights Consortium at School of Advanced Study in London. We have built on these relationship by organising an event for this year’s programme focusing on human rights abuses in the LGBTQ+ community in Jamaica. The event will be presented by Dr Matthew Waites – who took the lead on the Envisioning event – and hosted by Maurice Tomlinson, the leading LGBT human rights campaigner from Jamaica, who is known worldwide among activists for his fantastic award-winning work. In April 2016, Document organised a very successful event within the Radical Film Network Festival and Unconference. Founded in 2013 the RFN is a UK-wide collective of social action film exhibitors whose intention is to promote and grow radical film culture in the UK. Document conducted an inclusive nighttime cycle through city which began with an introduction from Jennifer McCarey of the Glasgow Clarion and concluded with a visual lecture from Dr Lars Kristensen of University of Skövde, Sweden in the beautiful outdoor setting of the Caledonia Road Free Church in the Gorbals. We also exhibited at the Restless Natives festival, a celebration of music and culture that took place in the east end of Glasgow, May 2016, as part of a film programme curated by Richard Warden of Scottish Mental Health and Arts Foundation, and presented a screening of Out Run (S Leo Chiang, Johnny Symons, 2016) during the Scottish Queer International Film Festival in October 2016.